Among several things in the Headwater pipeline just now is an exciting opportunity to walk in the Alpujarras this September. That in itself may not be particularly remarkable, but who you will be walking with certainly is. Headwater customers on this holiday will be guided by Chris Stewart, ex drummer with Genesis, and perhaps best known for his books about life in rural Spain, among them the well known Driving Over Lemons and The Parrot in the Pepper Tree. With so much local knowledge not only will every walk be stunning, but each walk will also be full of background colour and stories from Chris’ experiences. Also included in the week will be a back street tour of Granada, taking in what the tourists don’t see, and a grand lunch on Chris’ farm that was recently featured on Rick Stein’s Spanish Odyssey programme. 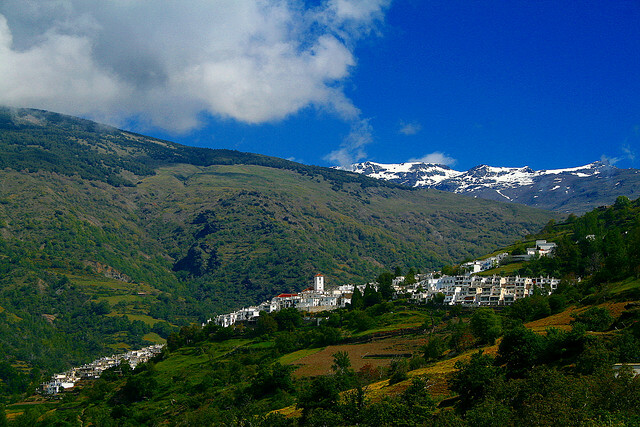 Accommodation on this trip will be in the lovely Casa Ana in the village of Ferreirola in the Alpujarras, just to the east of Granada. Run by local resident Anne Hunt – also expert in stories and experiences of the Alpujarra – this week of glorious countryside walks and fine dinners among friends will be a perfect September pick me up. After all, it isn’t every day you get to step out with an ex rock star and author to sample the finest walking and local delicacies in Andalucia.